Sneak Peek: Season 7 Episode 21 Castle Investigates a Murder Mid-Air on "In Plane Sight"
Sneak Peek: Castle Must Solve a Murder Mystery in Mid-Air! On Castle Season 7 Episode 21 "In Plane Sight" (air date: 04/27/2015) Castle and Alexis are flying to London, but their routine flight turns deadly when the plane’s Air Marshal, Kyle Ford, is found murdered. With the help of Beckett and the team on the ground, Castle and Alexis race against time to find the killer before he can carry out his fateful plan. 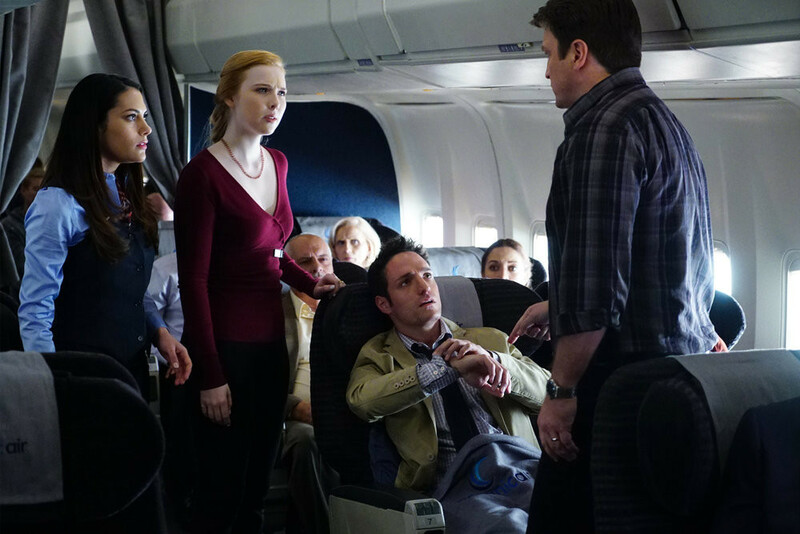 Castle and Alexis investigate the murder of Air Marshal Kyle Ford in Season 7 Episode 21 "In Plane Sight"
Watch the latest episodes from Season 7 right here!